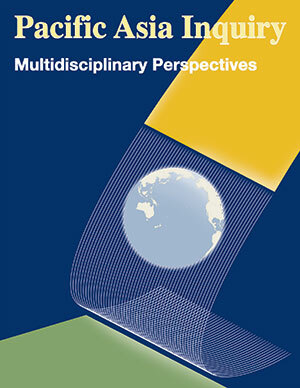 The University of Guam College of Liberal Arts & Social Sciences announces the release of the 9th Volume of Pacific Asia Inquiry - Multidisciplinary Perspectives. The Editorial Board is now accepting submissions for Volume 10. Submissions are due by July 1, 2019. Please follow the submission guidelines in preparing manuscripts. Pacific Asia Inquiry is a peer-reviewed online journal dedicated to showcasing works on the Pacific Asia Region and to advancing knowledge and understanding of this region. Pacific Asia has long been the focus of intense cultural, political and economic interaction with other world regions, and it is the central theme of this journal. Pacific Asia Inquiry analyzes and publishes contributions from a wide scope of works - national and international, regional and global, historical and current. Contributions are drawn from multiple disciplines in the liberal arts and social sciences - including sociology, psychology, communication, language and literature, visual arts, music, drama, history, geography, anthropology, philosophy, political science, and economics. This journal appeals to academics, policymakers, and both government and non-government professionals with an interest in the Pacific Asia Region. Special edition themes under consideration include Economic Development and Social Change, Militarization in Pacific Asia, Culture Change and Global Interactions, After Orientalism, and Trends in the Visual Arts. The Editorial Board of Pacific Asia Inquiry welcomes theoretical and field oriented contributions and analyses. Articles, critical essays, and case studies applied or theoretical that span the liberal arts and social sciences are welcome. The research emphasis of this series accommodates in-depth studies. Contributors are invited to share their innovative research, challenging past and current positions and perspectives. Any interdisciplinary approach may be employed so long as it is documented in a readable style of writing that is accessible to specialists and non-specialists alike. Authors may submit their writings on problems and issues associated with any ethnic group, national culture, historical period, genre, or media so long as the article has some scholarly and/or intellectual relevance or relation to Pacific Asia, especially Micronesia. Please send all inquiries and submissions to the editor, Dr. Michael R. Clement. Email: mclement@triton.uog.edu.